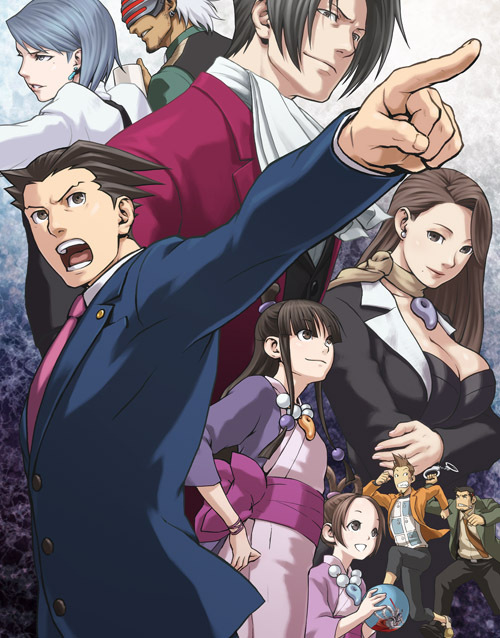 The west got its first taste of the Ace Attorney series back in 2005 when it released on DS and introduced players to the world of lawyers and engaging gameplay in visual novel style. The series would go on to spawn quite a few sequels and later port the original DS titles to the 3DS. Now once again the series is starting at its roots with the original trilogy, only this time it’s available on console with a new approach having lost the bottom screen of the Nintendo handhelds. Now it’s time to see just how well the move to console really treated Ace Attorney while also diving in to check if it’s worth revisiting once more for returning fans. Phoenix Wright is the key protagonist in the original trilogy of Ace Attorney titles. He’s a fresh lawyer out of law school who is finally getting his chance to stand in court and defend his client. Unfortunately for his very first case things aren’t in his favor as his childhood friend has been accused of a seemingly close-book murder. Fortunately his mentor, Mia Fey, is there to help him realize that sometimes all it takes is a little thinking outside the box and believing in the client to figure out the truth at hand. The series spawns multiple stories with each chapter and the original trilogy evolves quite a bit around Phoenix and his connection to the Fey clan which includes his mentor Mia and her younger sister Maya. There’s a lot more going on than it initially appears and it’s going to take a clever lawyer with his friends behind him to figure it all out. 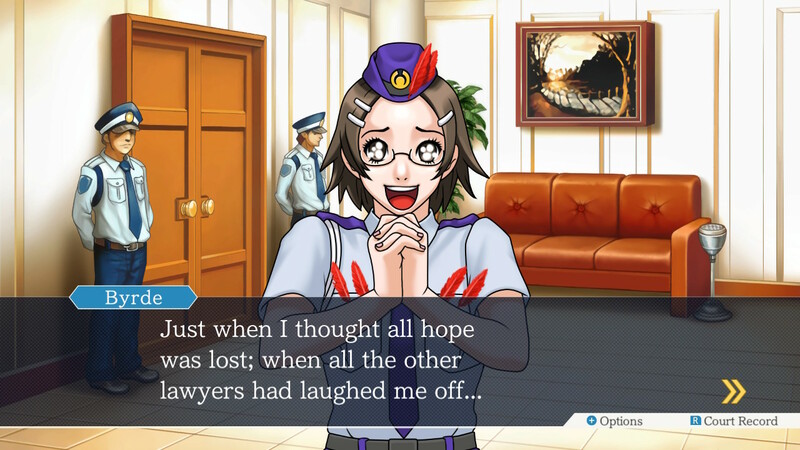 The Ace Attorney series is first and foremost a visual novel. It has tons of dialogue to read through and lots to be aware of and pay attention to. 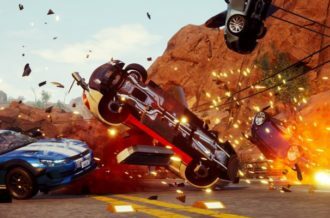 The key gameplay elements come in two forms; investigation and court trials. During investigation Phoenix will find himself exploring key areas related to his case and looking around to find clues while also speaking with nearby witnesses or connected characters in order to gather information to help with the case. Fortunately he’s able to present evidence in order to gleam more information, and with the right amount of listening and gathering, Phoenix will finally feel prepared to take on the battle in court. In the second title, Justice for All, Phoenix gains the ability to see into people’s hearts thanks to an item know as the Magatama. This allows him to see when people are lying or avoiding telling him the truth in the forms of locks wrapped around their body that only he can see. He must find and present the write evidence or statements in order to unlock them before they’re willing to provide a truthful answer. 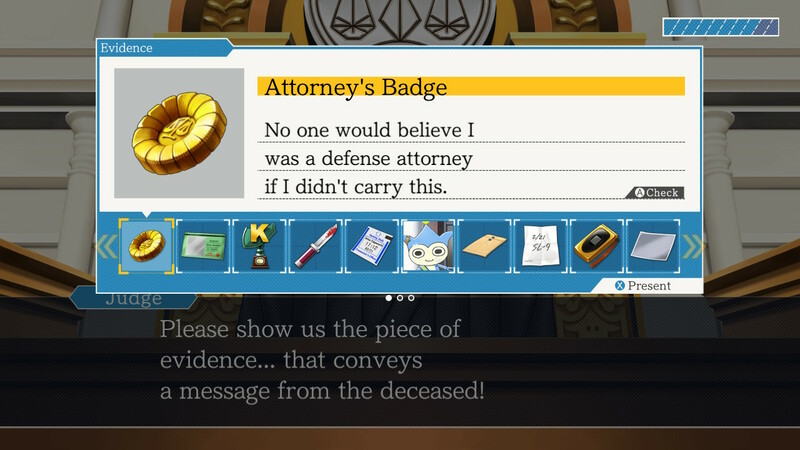 This adds another great layer to the investigation, as it often requires Phoenix to leave and come back later or else risk getting a game-over if he tries to get through with trial and error. Court trials most often come in multiple parts and pit Phoenix against a prosecutor who will bring in witnesses to accuse the defendant of their crime. This is where the evidence and gathered knowledge come into play, as Phoenix will need to press witnesses for more information on their statements while also finding contradicting evidence in order to discover where witnesses are either lying or unaware of something they missed. Court trials are also the main place where Phoenix can lose and get a game-over, as presenting irrelevant information will quickly penalize his confidence gauge if he isn’t making the right moves. By paying close enough attention, however, it’s easy to examine evidence and see where the dots connect in order to get the truth to come out in court. The strongest point in Ace Attorney is its characters and dialogue. Whether it’s having a good, quirky conversation with Phoenix’s friends or feeling the tense intimidation of the prosecution, there’s a lot to love. 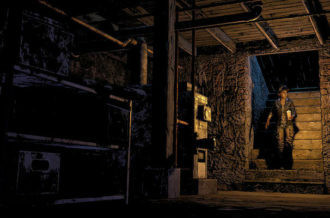 While investigating Phoenix, usually accompanied by a side-kick, can thoroughly examine each area with great dynamic dialogue between the characters. Almost every chapter feels engaging with its story and makes players truly want to find out the truth alongside Phoenix in order to unveil who the mastermind is behind the crime that took place. There are a couple of weaker cases in the trilogy which can feel a bit slow at times, but they almost always play an important role in learning more about the characters and still keep up that charming dialogue that’s hard to not enjoy. Ace Attorney has seen improvements in every iteration of its release from platform to platform, but this is the biggest one yet. The visuals are beautifully crisp in HD, allowing for players to see even more detail in the characters and backgrounds than ever before. Going through the menus is quick and snappy, and even the court house scenes feel a bit smoother when switching characters thanks to the improved visuals. The music is just as endearing as ever, with each track leaving a long-lasting impression thanks to the well-crafted tone throughout each case. One of the most welcome changes is the inclusion of rumble in the controller. Rumble wasn’t featured in previous entries, but adds a surprising amount of impact when a character is yelling or upset. The Switch version also supports touch controls in handheld mode, so players can investigate without ever pressing a physical button if they so please. Much like the 3DS trilogy, players can also choose which title they would like to start with so if they’re familiar enough they don’t need to feel obligated to replay from the beginning and instead hop right into their favorite cases. 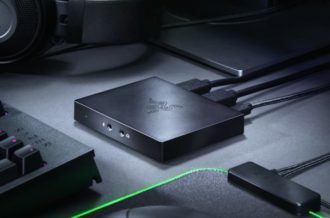 The biggest flaw of playing with a controller is the speed of the cursor while investigating or pointing out evidence in court. 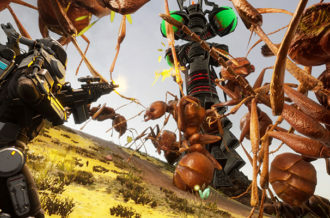 It can feel a bit sluggish to move the magnifying glass around to examine each area and would have benefited with a way to speed it up if just slightly to make things go a little bit faster. 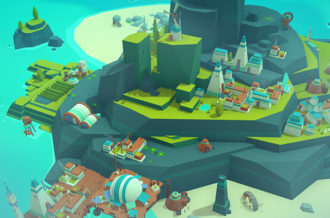 Fortunately the magnifying glass does inform players where they’ve already examined so they won’t end up revisiting the same place twice unless there’s new information to be gained. Phoenix Wright: Ace Attorney is a classic through and through. It has been engaging fans in its stories and characters for over ten years and will likely continue to do so. The original trilogy marked the beginning of what would be a great series of memorable stories that stick with players. Having these titles available once more on so many platforms is the perfect opportunity to introduce even more players to the series while also giving it an updated approach to the mechanics and gameplay. 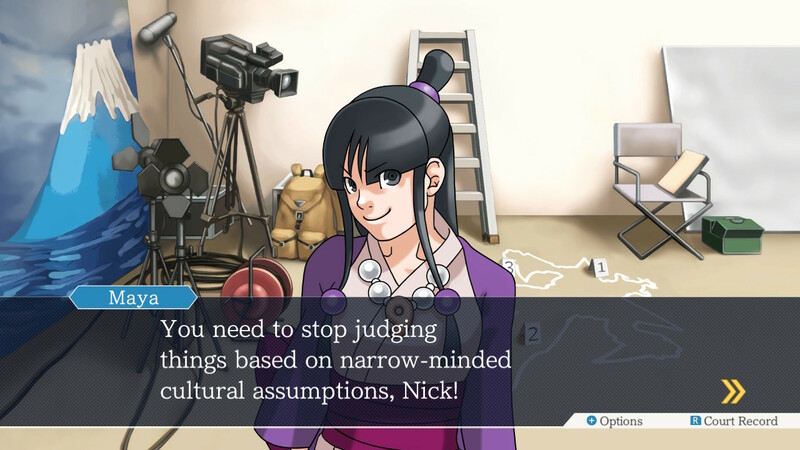 Not every visual novel offers the amount of replay value that Ace Attorney does, but it draws players back to experience those amazing story moments and awesome court bouts that make it stand out so well in the genre. The Phoenix Wright: Ace Attorney Trilogy is a title that everyone who loves a great well-written story should have and one that current fans can still enjoy returning to once more.